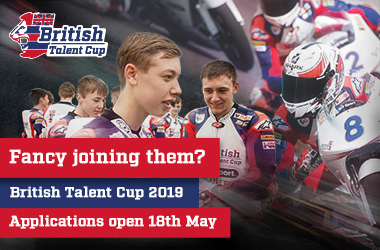 Applications for the 2019 British Talent Cup are set to open on 18 May, giving young riders from the British Isles the chance to get on the ‘Road to MotoGP™’ and showcase their talent on the world stage. 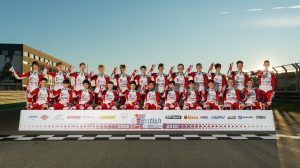 The inaugural season of the championship – which is sponsored by SHARK Helmets – is well underway with 23 racers aged 12-17 years old taking part. Each rider competes aboard NSF250R Moto3™ machinery and wearing a SHARK Helmets Race-R Pro. The races take place at existing Dorna-run events, such as MotoGP™ and MOTUL FIM Superbike World Championship weekends, as well as alongside the British Superbike Championship. Now it’s time for the next wave of young candidates to step forward and apply for a place on the 2019 grid. Prospective participants will be able to apply online at www.britishtalentcup.com from 18 May-17 June 2018. A panel of experts will then choose a number of riders to take part in the two-day Selection Event, which will preface the 2018 British Grand Prix at Silverstone in August. Applicants will be put through their paces in a number of skills test and the best riders will be offered the chance to join the 2019 grid. Applicants must be citizens of a country in the British Isles and their date of birth must be between January 1 2002 and December 31 2006. Some high-performance riding experience is required, but there is no specific minimum level of road racing experience. Riders who ride dirt bikes or motocross may also be developing riding skills that translate into success on tarmac, and skill is what will be tested in the selection process – not experience. There is no fee to participate in the selection event, however riders will need to provide their own racing kit and cover their own expenses. Successful candidates selected to participate in the 2019 British Talent Cup will race at no cost, however they will need to cover their travel expenses. Selection Event: 21 and 22 August 2018. 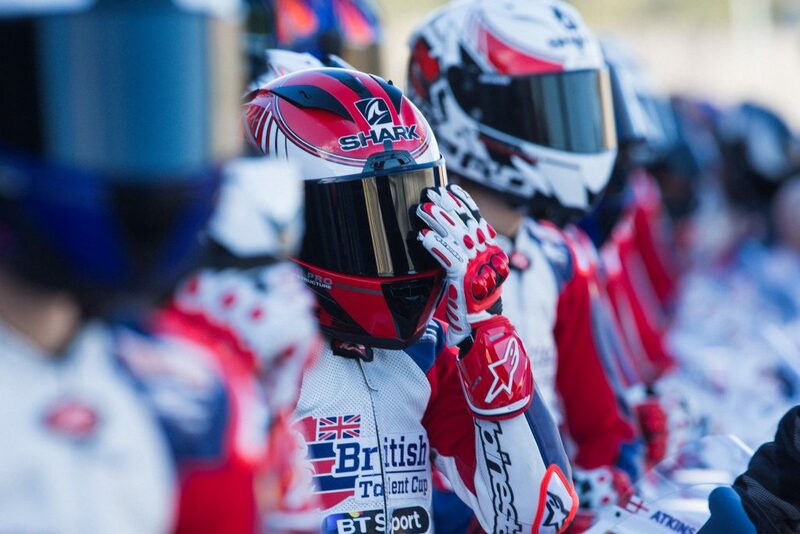 The all-new British Talent Cup has started in 2018, beginning a whole new phase of Dorna’s Road to MotoGP™ program. The new Cup is designed as the perfect stepping-stone for riders from the British Isles to get onto the world stage, providing an opportunity like no other for young talent to grow and progress on the Road to MotoGP™. On board with the Cup is world-renowned talent scout Alberto Puig, providing an incredible structure for young riders from the British Isles to get the best possible start to their careers.